Sign up to Dry July Australia 2018 and raise funds for Fiona Stanley Hospital. Fiona Stanley Hospital is Western Australia’s flagship health facility. As the major tertiary hospital in the south metropolitan area, we offer a high standard of patient care to the community south of Perth and across the State. Our hospital is supported by an innovative design that uses the latest scientific, technological and medical developments to help us provide the best possible care for our patients. Our Cancer Centre has 36 treatment chairs/beds, 4 linear accelerators, a 24-bed oncology ward, a 24-bed haematology ward, Bone Marrow Transplant service, consultative palliative care service, a full range of surgical oncology specialities, Multi-disciplinary teams and dedicated allied health services. The ambulatory comprehensive cancer service also provides a home service for eligible cancer patients. We're proud to announce that Fiona Stanley Hospital has received a grant from the Dry July Foundation 2018 Grant Program. Funding from Dry July raised in 2017 has helped patients keep to their schedule. 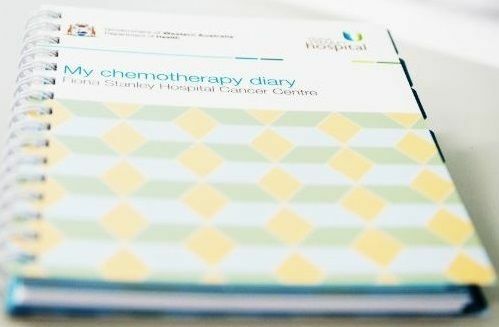 Patients have said that the diaries are a fantastic resource and that they like having one place to document questions, next treatments and track their side effects. 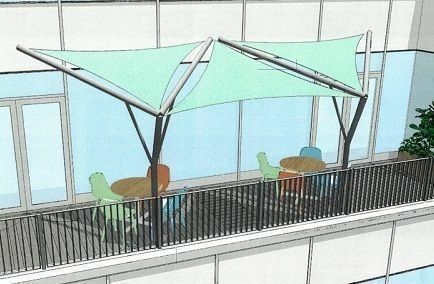 Dry July funds will soon provide a new outdoor space on the balcony at the Fiona Stanley Cancer Centre. The current surface of the balcony makes it unsuitable for the use of patients, their friends and family. The resurfacing , shade-sails and new furniture will provide a comfortable and attractive outdoor space. 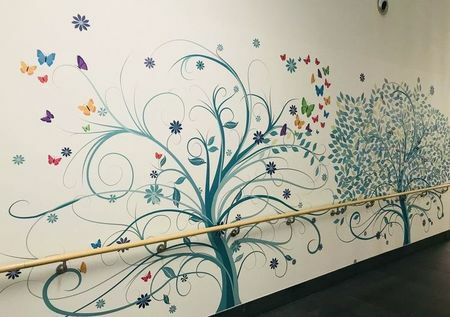 This Dry July funding has paid for a beautiful mural at Fiona Stanley Radiation Oncology ward. Each patient completing treatment adds their own leaf to the tree on completion of their treatment. It's a wonderful visual representation of the successful outcomes that can be achieved with treatment and offers hope to those just starting their journey. 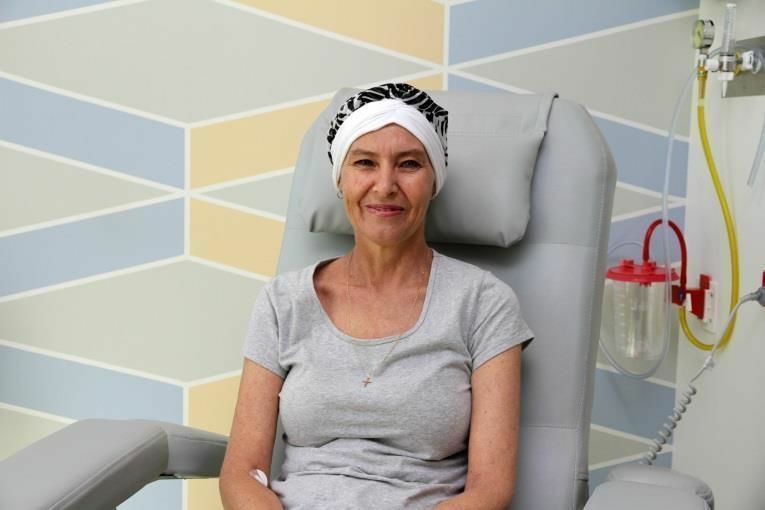 Over the past two years, Dry July fundraising for the FSH cancer services have provided an upgrade to the ward patient lounge rooms including the installation of beverage bays. "The beverage bay is a quiet space which has really helped me when I need a moment away from all the buzzes, bells and beeping," Sharon said. What was once an empty space is now a place where patients and their visitors can go to make a cup of coffee or tea, sit down with visitors or take a moment to relax. Sharon said the beverage bay is more than just a room; it gives patients a sense of freedom. “It's great because I can go get some water or make some noodles, and I'm not bothering the nursing staff or taking time away from other people."